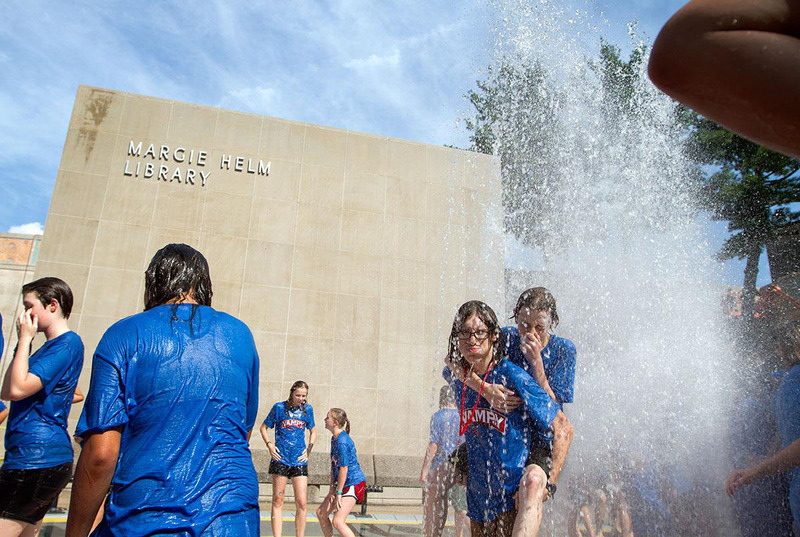 VAMPY campers run through the fountain outside Margie Helm Library July 15. Running through the fountain is a tradition after classes on the last day of VAMPY. 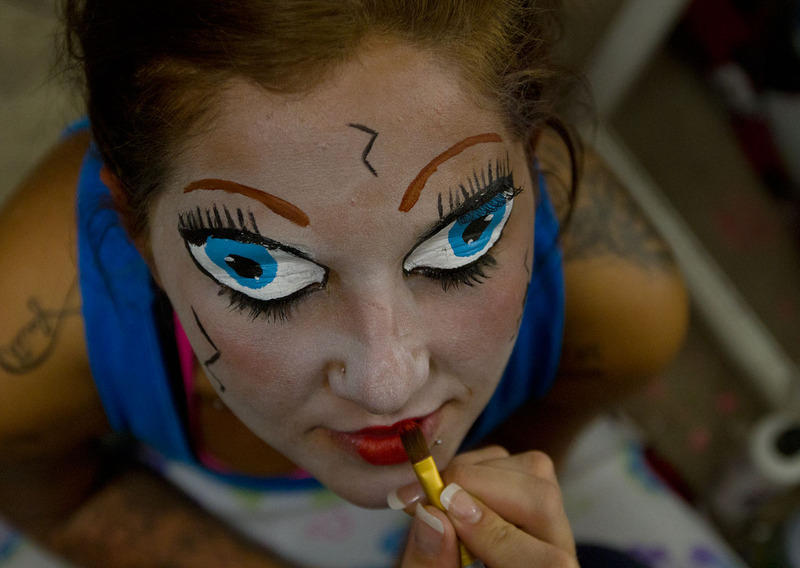 Brittnee Dailey of Bowling Green has makeup put on by Brittany Cline before the opening of The Apocalypse Haunted Attraction at 1210 Church Street Friday. Cline’s husband, Sammy Martin, opened the haunted house for the first time this year. He and his children live for Halloween, Cline said. 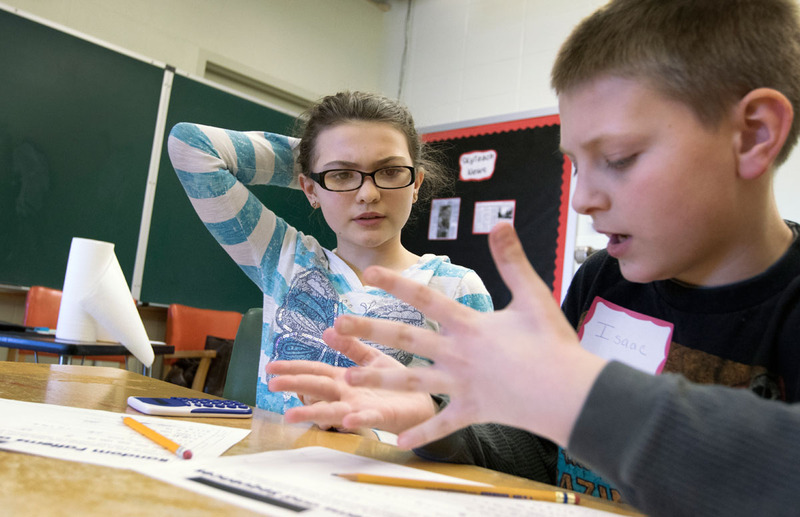 Olivia Taylor (left) and Isaac Bunch work out a problem together in Mathematical Patterns in Nature during Winter Super Saturdays Feb. 7, 2015. Looking to escape from the rain, Louisville senior Jasmine Taylor walks down Avenue of Champions to a tent on South Lawn at Western Kentucky University Saturday. 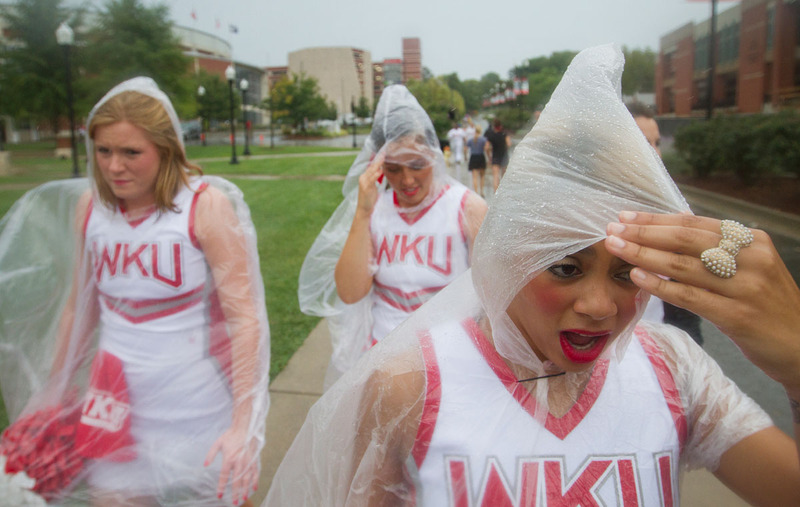 The rain before WKU’s first football game of the season caused Topper Walk, a pre game tradition in which players, cheerleaders and marching band members walk to the stadium, to be cancelled. Kinleigh Neal, a 3-year-old from Bowling Green is encouraged to visit Santa Saturday at Deemer’s Flowers. 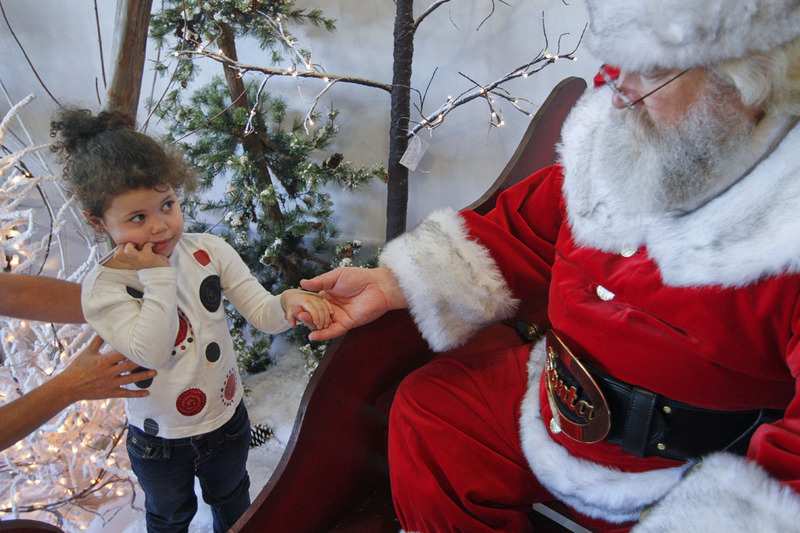 Murray McCandless of Elizabethtown played Santa at the store’s Christmas open house. “I looked in the mirror one day, said I’m fat and have a white beard, what am I going to do?” said McCandles, who is in his fifth year playing Santa. 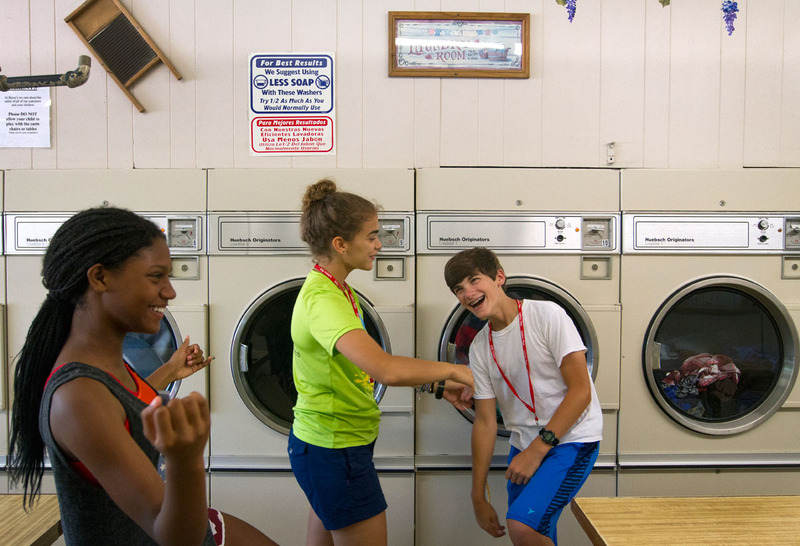 VAMPY campers Jocelyn Martin (from left) of Russell and Maya Abul-Khoudoud of Ashland teach a dance to Grant Coorssen of Louisville while waiting for their clothes to dry at Bryce’s Bypass Laundromat Sunday, July 10. 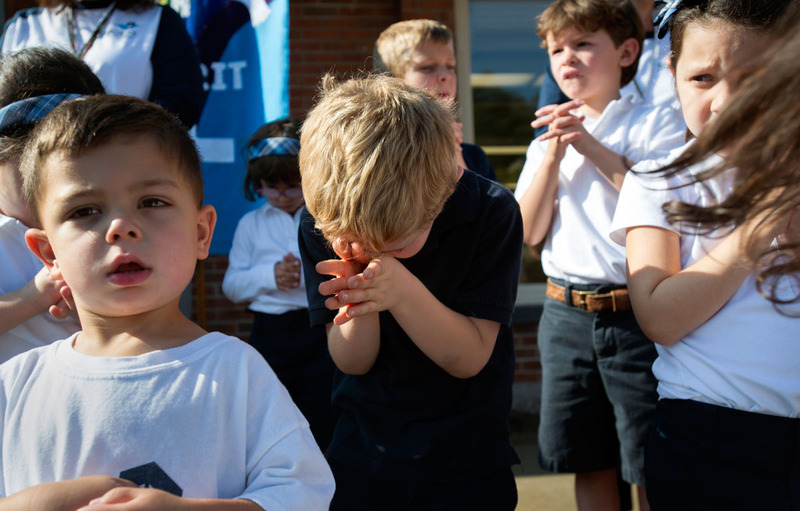 Kindergartner Jackson Hickey takes a prayerful stance while Father Bob Ring gives a blessing over the new Early Learning Center at St. Louis School in Pittsford Sept. 20. 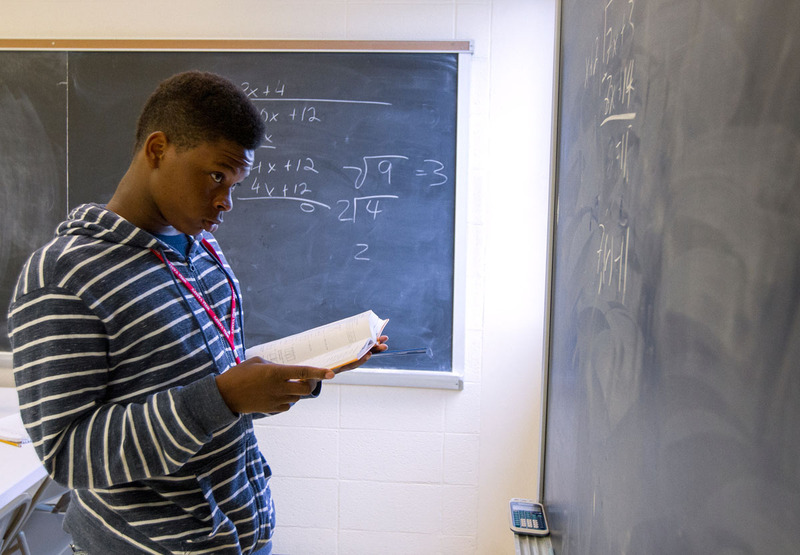 Ni’Kerrion McDonald of Lexington works out a problem on the chalkboard in Mathematics Friday, July 1 during VAMPY. 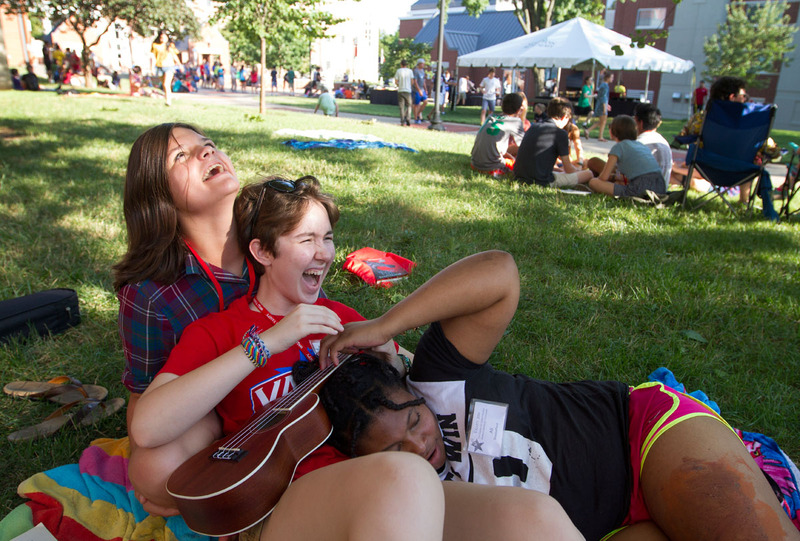 Laine Hirn (from left) of Louisville, Zoe Ward of Frankfort, and Ali Shackelford of Louisville share a laugh during the VAMPY cookout Sunday, July 10. 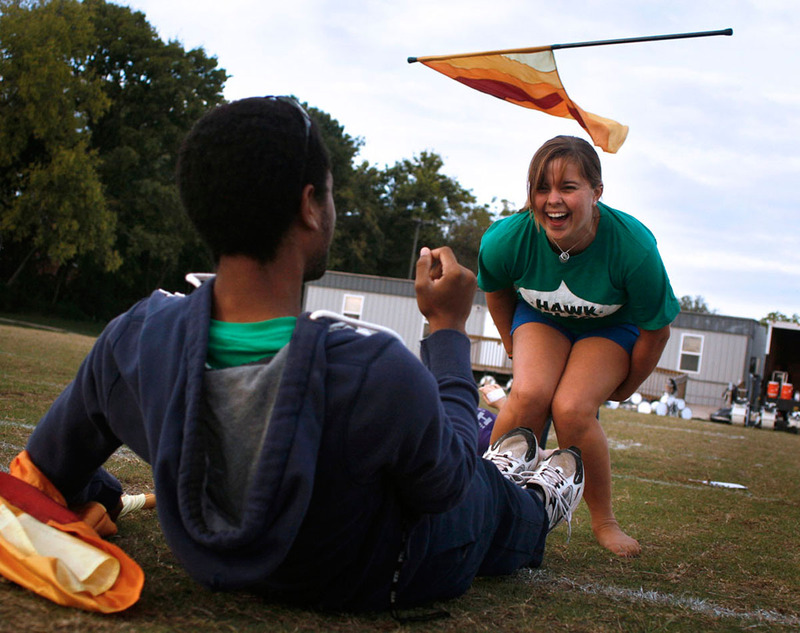 While practicing with the Big Red Marching Band, freshman Jacquelyn Kinzer from Brentwood, Tenn., gets a kick out of working with Scottsville junior Seth Tooley after Tooley misses catching her toss during a rehearsal Sept. 30 on Burchlee Field at Western Kentucky University’s south campus. The band was preparing parts of a superhero medley that director Jeff Bright hoped to have ready for performance in time for the Oct. 17 football game. Kyra Morgan (left) of Berea and Amirta Manikandan of Cordova, Tenn., hug goodbye after packing up their belongings during VAMPY checkout Saturday, July 16. 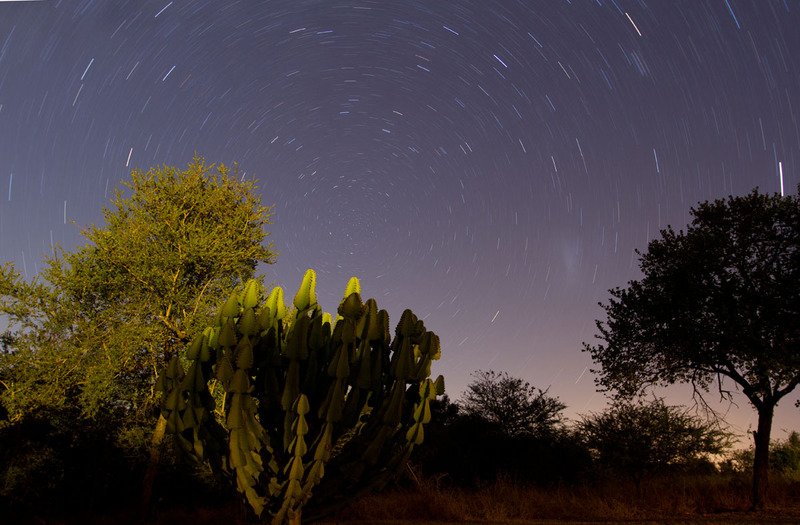 Stars pass through the sky over Phelwana Game Reserve outside Hoedspruit, South Africa, June 5, 2012. Eleven students participating in an African wildlife management class through Western Kentucky University stayed in tents at the reserve during the 12-day course. 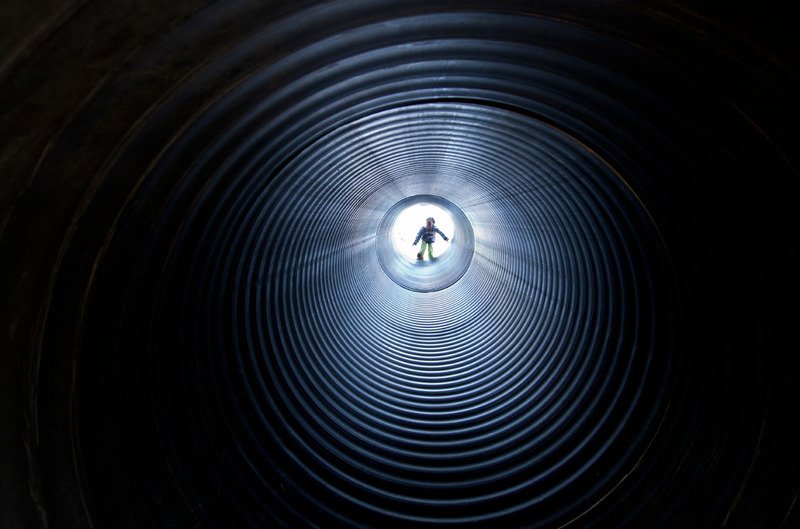 Six-year-old Keira Bailey of Glasgow prepares to go down a tunnel slide at Chaney’s Dairy Barn Sat. Oct. 6. Chaney’s held their annual Pumpkin Pickin’ Festival Saturday and Sunday to celebrate their ninth birthday. 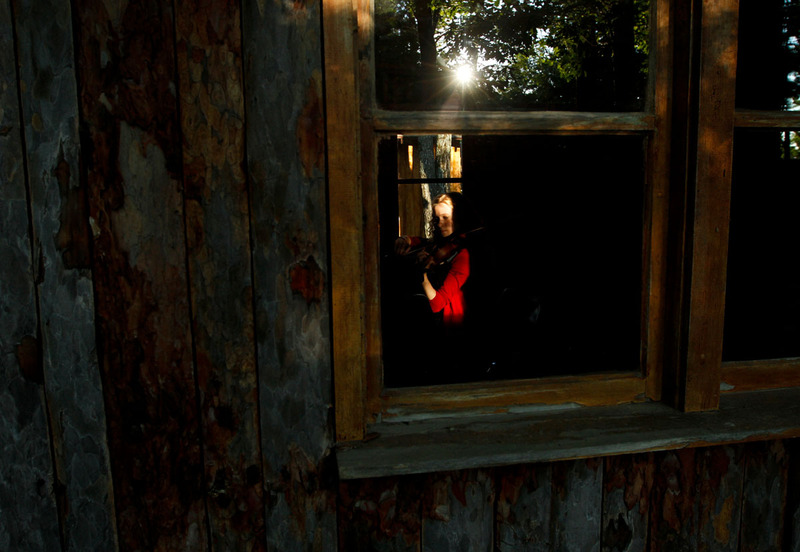 A student musician rehearses in a practice hut during her evening free time at Interlochen Arts Camp in northern Michigan. Now in its 83rd year, the camp is attended by around 2,500 students between the ages of eight and 18 for two, three or six week stints. Quincy has his hair groomed by Shanna Donan Tuesday at Wags-N-Whiskers II on State Street. 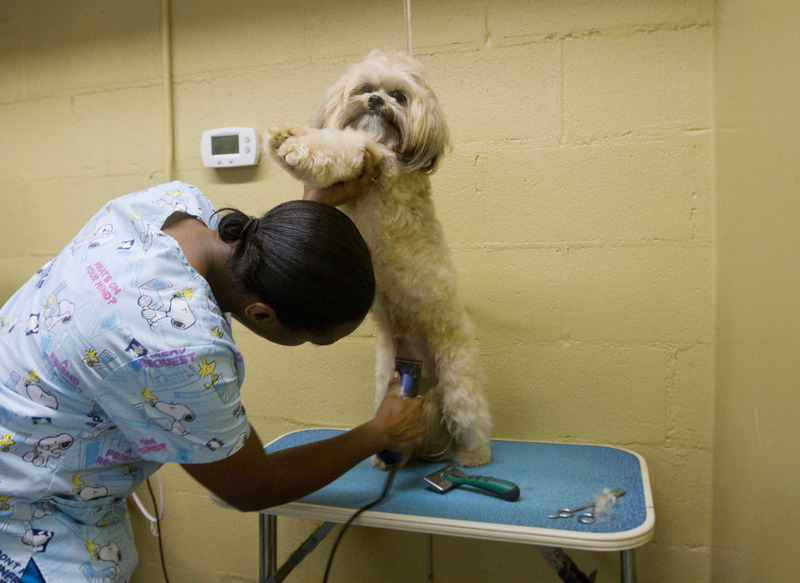 Donan, who has been a groomer at the shop for four years, said that she has only been bitten by dogs four times. 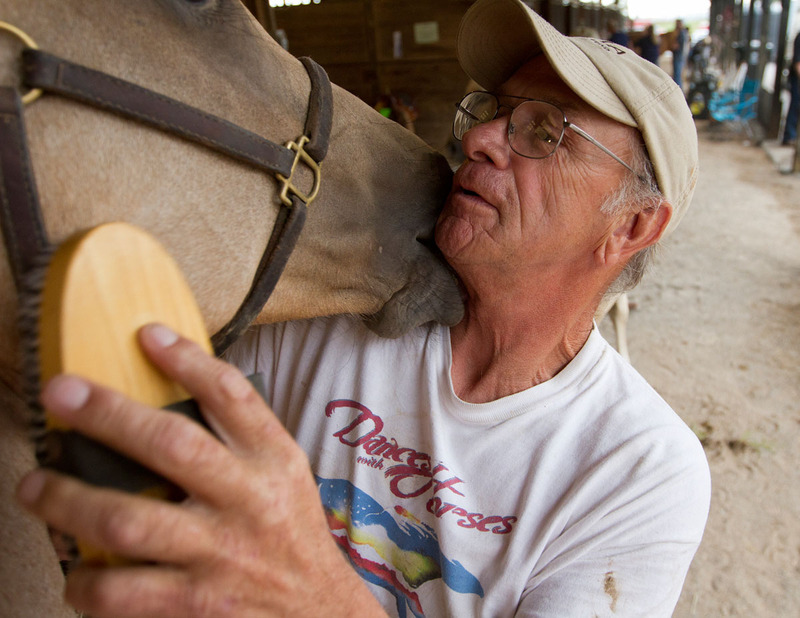 Richard Montanye of Somerset brushes Zippos Blue Legacy before an auction put on by West KY Horse Sales Saturday, Sept. 8 at the WKU Farm. Montanye and his wife brought two roping horses to the auction. 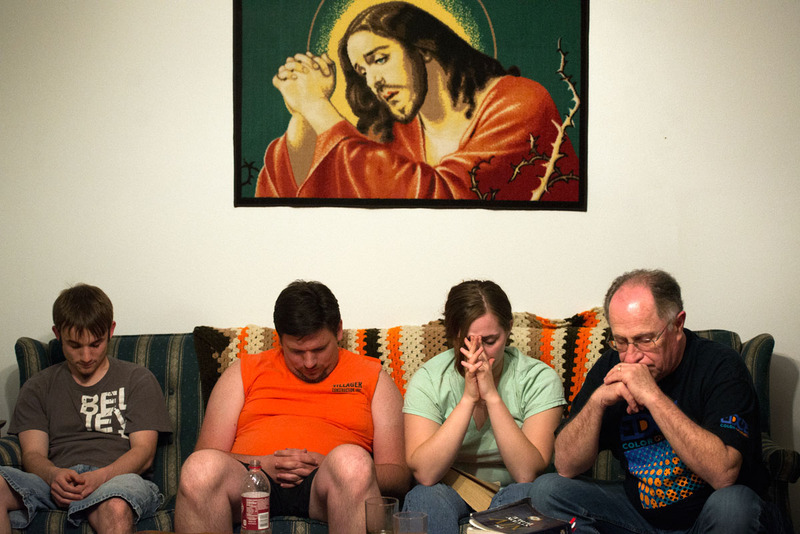 Jonathan Willistein (from left), James Pike, Alice Swarthout and Jim Stocks pray at the end of a Bible study May 20, 2014, at the house they stayed at in Louisa, Ky, during a mission trip to the Appalachian region.